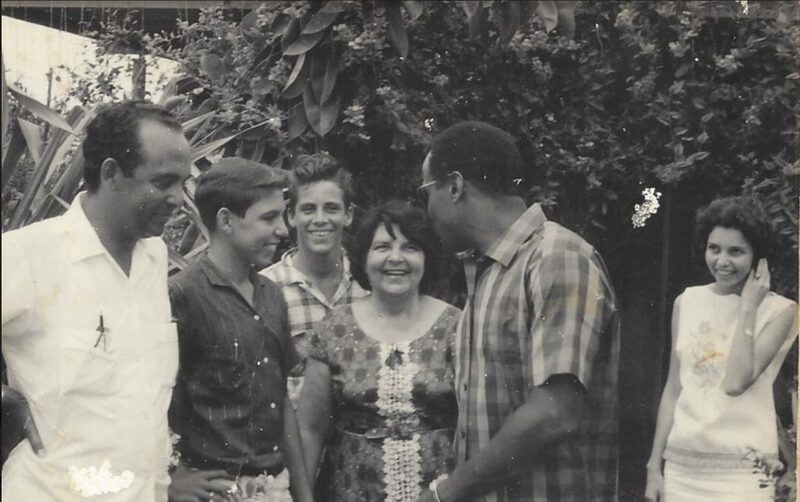 Toon Abraham, seen here on an old picture all the way left, has left an enormous imprint on the history and development of Bonaire. Photo: Archive BES-Reporter. Kralendijk- One of the most influential politicians that Bonaire has known is no more. Laurenso Antonio (Toon) Abraham, former leader of the Democratic Party Bonaire (PDB), passed away last night. Abraham, brother of former PDB leader Jopie Abraham and uncle of current PDB leader Clark Abraham, made an important mark on the economic development of the island. He stood at the cradle of several very relevant developments on the island, such as the establishment of two world-class radio stations. Abraham held countless positions in various governments, including the Government of the former Netherlands Antilles. Abraham, due to his very long track record, had an enormous knowledge of the history on the island. He was widely respected for his knowledge and skills. Last year Bonaire writer and journalist Trix van Bennekom, living on Bonaire, wrote an interesting book about the dynasty Abraham on Bonaire, in which she also paid attention to the deceased politician. The politician was born in the year 1936. The editors of the BES-Reporter extend their sincere condolences to the family of Toon Abraham, and in particular his wife Rose-Marie Abraham who formed the inseparable other half of the remarkable politician.